Friday, February 25, 2011, 12 p.m. to 1 p.m. Celebrate African American History Month with a free lunchtime lecture by Warren Washington, an internationally recognized expert on atmospheric science and climate research. Recent climate change assessments have convinced most climate scientists that humans are changing the earth’s climate and that significant global warming is taking place. Some scientists are skeptical of the science and think the observed changes result from natural climate variability or other causes. Warren Washington will present a brief review of recently observed 20th century climate change and compare it with climate model simulations. These computer simulations have been extended into the 21st century and beyond using assumptions based on future growth in fossil fuel use and other factors. Washington will discuss his personal involvement in building and using climate models. He will show that if the world shifts from a fossil fuel based energy strategy to one of increased conservation, renewables, and possibly nuclear energy, it will prevent a significant amount of future climate change. He will also address the issues of misinformation and environmental justice. Finally, Washington will discuss scientific uncertainties, societal impacts, and policy options, including the potential for geoengineering within the climate system. 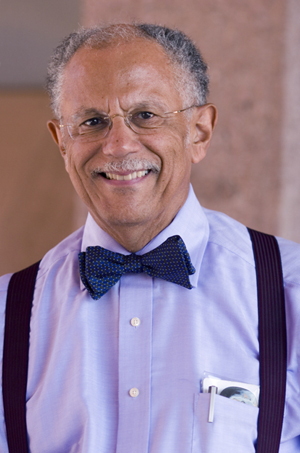 Warren Washington is senior scientist and a section head at the National Center for Atmospheric Research in Boulder, Colorado, where he served as director of the Climate and Global Dynamics Division from 1987 to 1995. He has been associated with the center since 1963. A meteorologist, he specializes in computer modeling of the earth’s climate, using such models to simulate future climate change. His book, An Introduction to Three-Dimensional Climate Modeling (with Claire Parkinson), is a standard reference in the field.